It’s a big Saturday at Notre Dame as several top prospects will be in South Bend. 2020 QB Drew Pyne‍ will make a return to campus to continue to build his relationship with quarterbacks coach Tommy Rees and offensive coordinator Chip Long, but also to do his part on the recruiting trail. Pyne will have the chance to get in the ear of the following players and you can absolutely expect him to do just that. 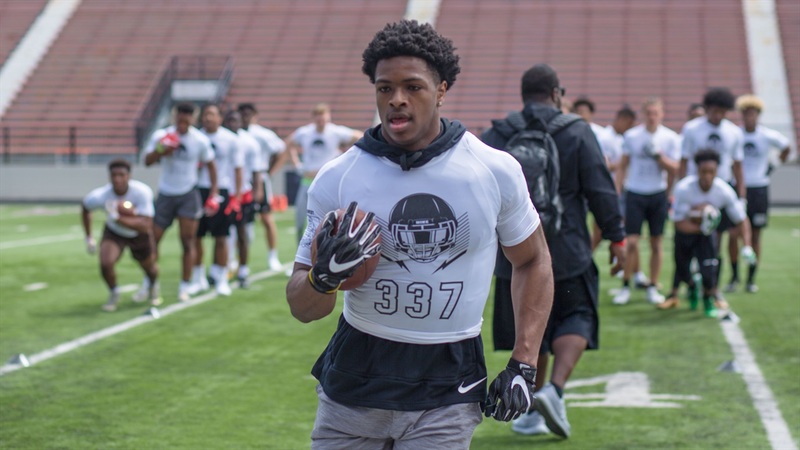 2020 RB DeaMonte Trayanum‍ is making his first visit to Notre Dame on Saturday and it’s a crucial visit for the four-star prospect. Long and new running backs coach Lance Taylor has the Irish back in the thick of the race after several months of Trayanum not giving the Irish the time of day. Ohio State wants the Akron native, so Notre Dame has its work cut out, but we believe Trayanum will thoroughly enjoy his time in South Bend as it’s a similar fit to his high school. 2020 OL Tosh Baker‍ will make another return to South Bend after visiting in December and he could very well be the top target on Jeff Quinn’s offensive line board. If Notre Dame doesn’t lead for the four-star prospect, they 1B. We feel the Irish are in great position to not only help themselves with Baker this weekend but to solidify themselves as the top school. 2020 DE Deontae Craig‍ earned his offer about a month ago and will get his first in-depth look at the program with an offer in hand. Craig really wanted an offer from Notre Dame as well as Ohio State, so this one looks to be turning into a classic Irish vs. Buckeyes battle. Notre Dame will need to hit its marks this weekend. 2020 ATH Cullen Coleman‍ might be the most interesting name on the board for Notre Dame. At 6-foot-3, 220 pounds, Coleman could play multiple positions on either side of the ball, but as of now, the Irish like him at running back. He’s also a kid who comes from a background where academics are stressed and Notre Dame should be able to impress the Coleman family this weekend on and off the field. 2021 WR Liam Clifford‍ will make the trip from Cincinnati to South Bend after earning offers from Cincinnati, Michigan, Pitt and Toledo. It’s still pretty early in his recruitment, but he’s a name Notre Dame fans will want to get familiar with as I fully expect him to have a national offer list by the time the calendar switches to 2021. If you remember, Notre Dame was recruiting his brother, Sean Clifford (Penn State quarterback), a few years ago and if the Irish had offered, Clifford would have been in the blue and gold.